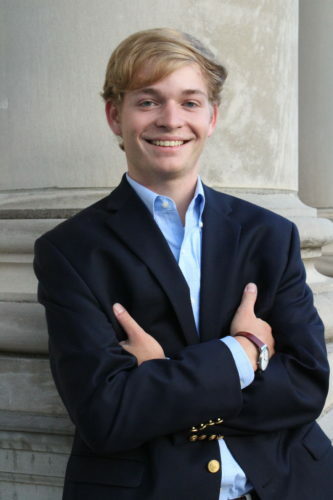 The Samford Men’s Basketball team has put together an impressive 7-1 record over the past several weeks with wins over Miles College, Cleveland State, Purdue Fort Wayne and SC State. The Bulldogs also lost an extremely hard-fought contest against Ohio State, a game which they led by three at halftime. Against Miles on Nov. 14, the two teams went into halftime with Miles having a one-point lead with the score sitting at 36-35. 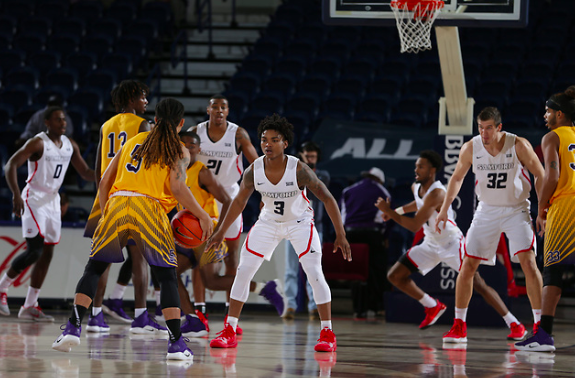 A back and forth second half that saw multiple lead changes eventually ended in a 16-3 scoring run for Samford to finish out the game, with the final score being 66-57 in favor of the Bulldogs. Senior center Rueben Guerrero dominated for Samford, recording 26 points and 16 rebounds in 31 minutes played. Junior guard Josh Sharkey scored 10 points, and added five assists and a block, while senior guard Myron Gordon had 10 points, four rebounds, and two made three-pointers. The Bulldogs traveled to Columbus, Ohio, where they would play their next two games. First, they took on Cleveland State on Nov. 18. After Cleveland State took the lead by a slim margin of 36-35 early in the second half, Samford went on a 14-0 run and never looked back. A complete team effort resulted in a 73-60 win for the Bulldogs. Junior guard Brandon Austin recorded a career-high 21 points to go along with four rebounds and two steals. Rueben Guerrero added 14 points, nine rebounds, two assists, one block, and one steal. Josh Sharkey registered nine points, seven assists, and two steals for the Bulldogs. The win improved Samford’s record to 5-0, which was their first such start since the 1996-1997 season, when they went on to finish with a record of 19-9. The second game of the three-game road trip saw the Bulldogs matched up against the No. 23 ranked Ohio State Buckeyes. Myron Gordon’s season-high 18 points were not enough to hold off a strong second half from the Buckeyes, who would go on to win the game by a final score of 68-50. Samford took a 32-29 lead into the locker room at halftime, but Ohio State shot the ball well and outscored Samford 39-18 in the second half. Three Bulldogs scored in double figures, as Gordon had 18, Josh Sharkey had 11 and Brandon Austin also added 11 to Samford’s total. The final game of the road trip took the Bulldogs to Fort Wayne, Indiana, to take on Purdue University Fort Wayne. An impressive all-around shooting performance from the Bulldogs led to a 74-66 victory. Samford shot .519 from the floor and .500 from beyond the arc. With the lead sitting at 68-66 in favor of Samford with 0:17 left to play, Josh Sharkey hit six clutch free throw attempts to secure the win for the Bulldogs. Sharkey tied a career high with 25 points, to go along with six rebounds, six assists, and seven steals. Ruben Guerrero scored 15 points, grabbed six rebounds, and recorded a block. Myron Gordon scored 11 points, including two three-pointers. As a team, Samford was 8-16 from beyond the arc. The Bulldogs seem to be clicking at the right time as they enter the final weeks of non-conference play. The team is averaging close to 75 points per game, and four different players (Sharkey, Gordon, Guerrero, Austin) are averaging double figures in scoring per game. Be sure to come out and watch the Bulldogs in their upcoming home games against Belmont (Nov. 29), Morehead State (Dec. 13), and Houston Baptist (Dec. 17).